In 1948, Colin Chapman, pursuing his own theories of the ideal sports car, built his maiden competition car in a tiny lock-up garage in London. Four years later, he founded Lotus Engineering, a company that continued to innovate in both road and race engineering, which in time has become a crucial part of automotive history. 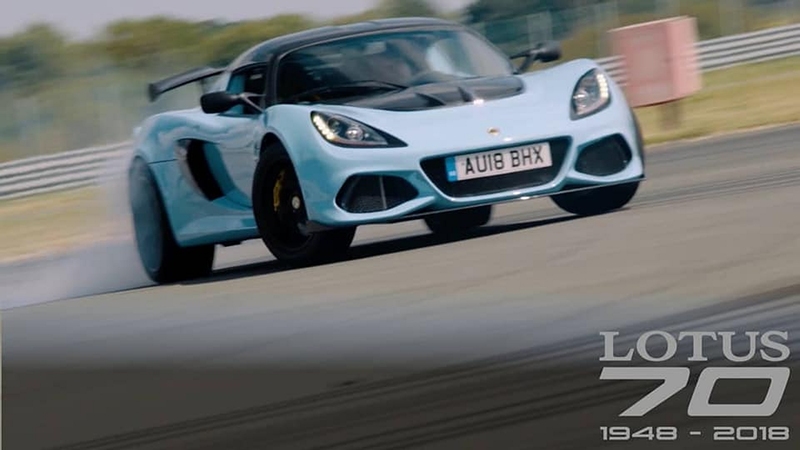 This year, Lotus is celebrating its 70th year and, to commemorate the milestone, it has released a new film that shows two of its creations laying out rubber in the shape of a "70" on the test track at its HQ in Hethel. The fitting tribute to the marque's style and engineering was created on the test track’s skidpad using the dynamic prowess of the Exige Sport 410 and Evora GT410 models, a few pairs of tires and great driving precision. 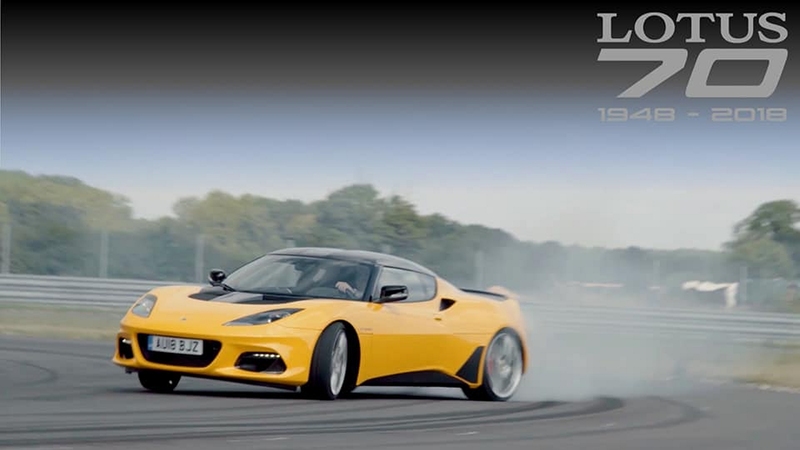 Lotus claims that the use of CGI wasn't a part of this production; instead, it relied on the skills of the chosen drivers, namely Gavan Kershaw, head of attributes, and Daniel Peck, vehicle dynamics engineer. The duo, who are a part of the Lotus team responsible for embedding performance and agility into its vehicles, drew up the 70th tribute logo in some intense tire-smoking and drifting action. Lotus wants to call the exercise "a light-hearted celebration as the company continues to mark the genius of Lotus founder Colin Chapman." As the name suggests, both cars are powered by a 410-horsepower, fuel-injected and supercharged 3.5-liter V-6 engine that enables sub-4.0 second 0 to 60 mph runs.